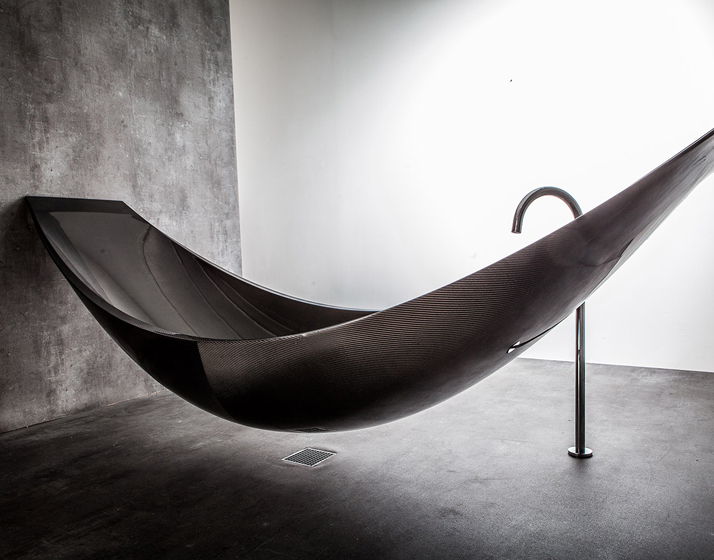 A bath made from carbon fibre that hangs like a hammock by Design studio Splinter. 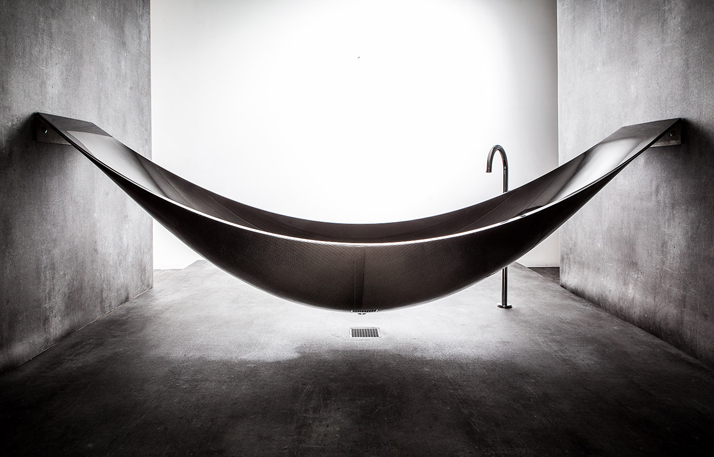 Struck by the synergy between the shapes of two compelling symbols of relaxation, a hammock and a bath tub, Splinter Works were inspired to develop a piece that would provide the ultimate vehicle for total escapism. 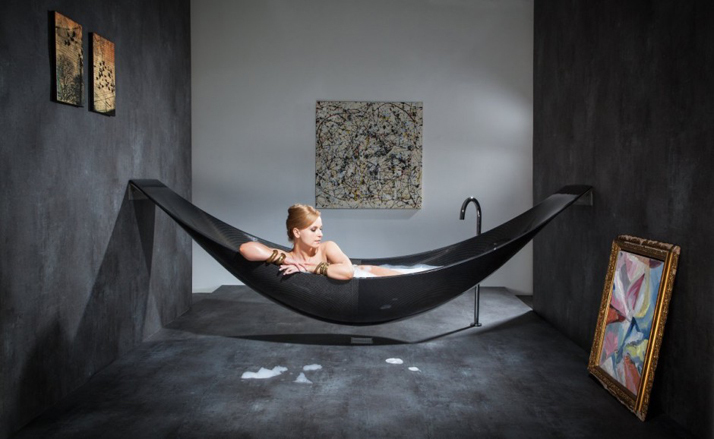 The peaceful experience of kicking-back in a hammock has been further enhanced by combining it with the immersive comfort of soaking in a hot bath. 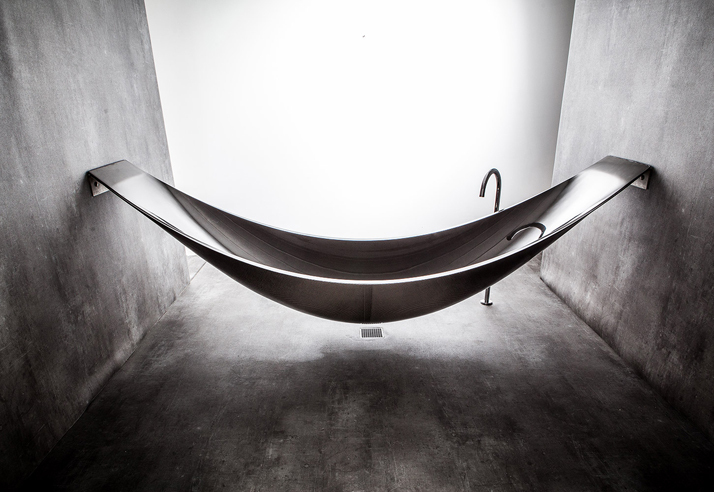 By literally elevating the experience of bathing into a suspended sculpture the bathroom has been reinvented as a contemplative sanctuary for artful relaxation. 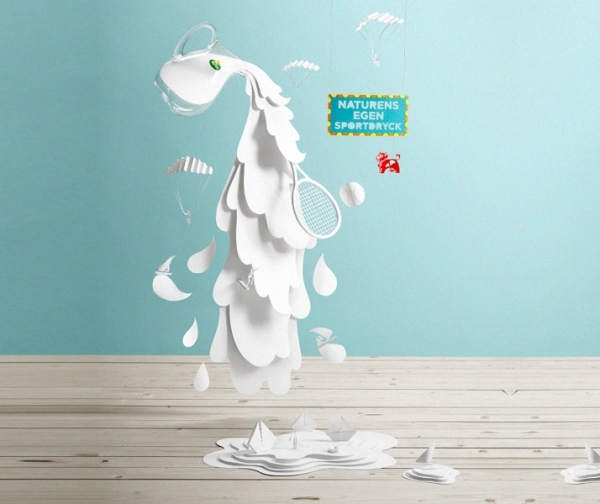 Designed for use in a wet room, Vessel is suspended from the walls and does not touch the floor. 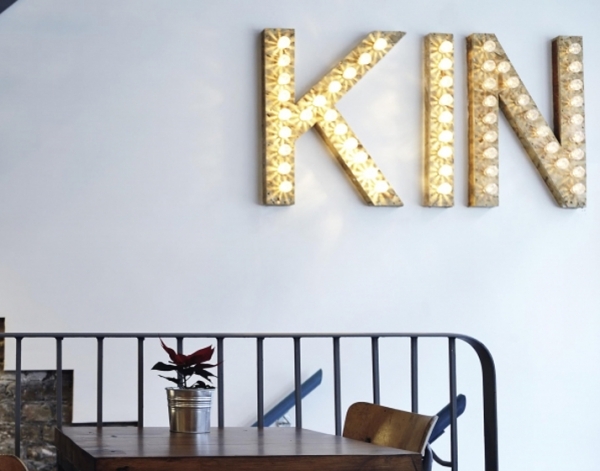 It is fixed with stainless steel brackets that can be covered over, or left revealed. 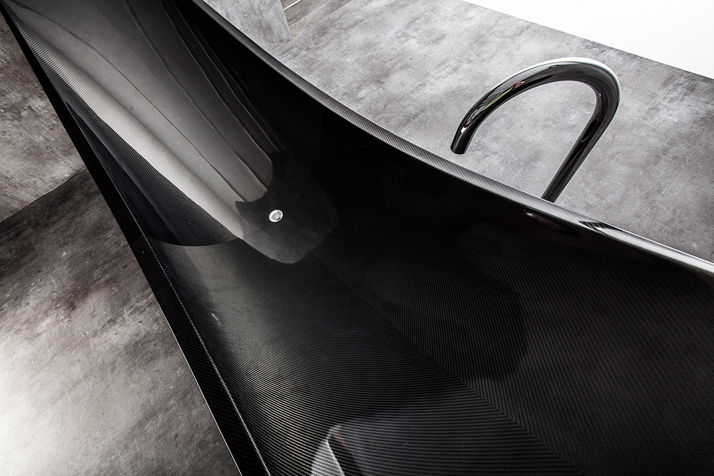 The bath is filled using a floor standing tap and the waste water released through the base into a floor drain. 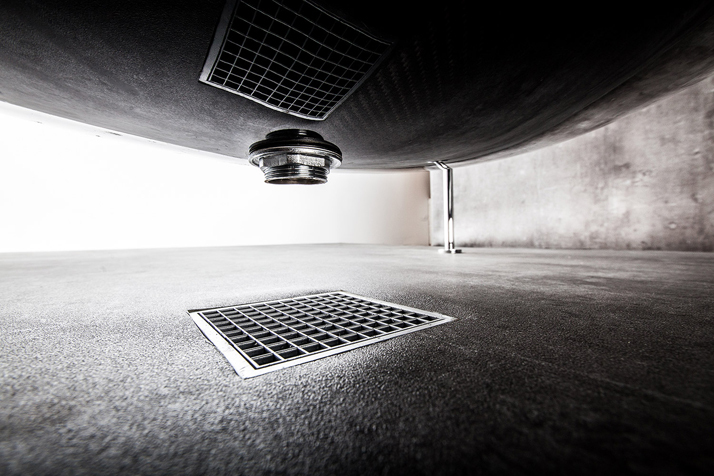 A downpipe drain can also be installed if a wet room setting is not possible. 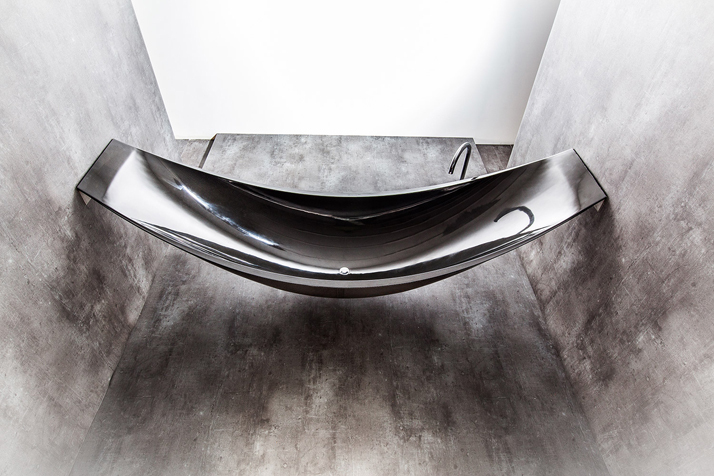 Vessel is made from carbon fibre which is utilised for its inherent strength and ability to be formed into complex curves, furthermore the weave of the fabric references the cloth of a typical hammock. 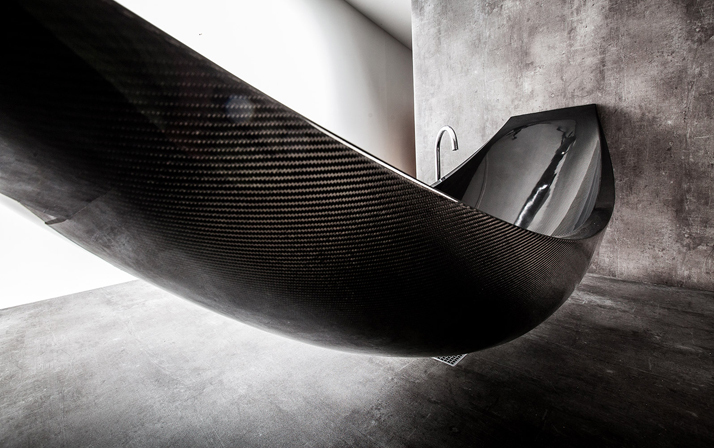 Beneath the layers of carbon fibre lies a foam core, which insulates the tub, meaning the bath stays hot for considerably longer than normal. 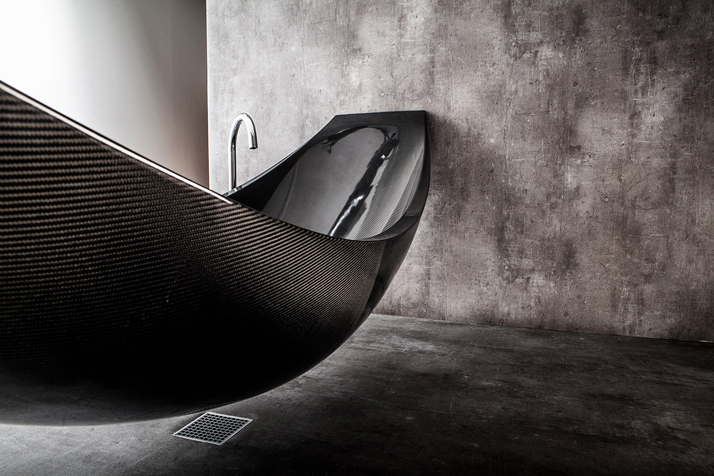 At 2.7m long, Vessel is longer than a regular bathtub, leaving plenty of room to share the experience. 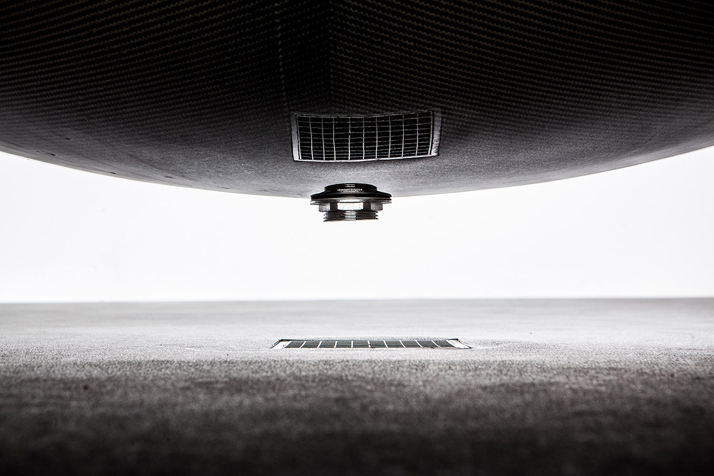 Custom sizes are available but it is also designed so that it can be trimmed up to 20 cm to allow for flexible installation. 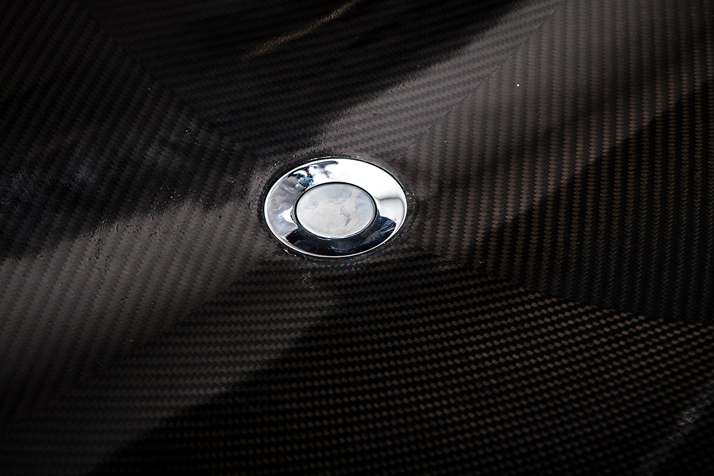 Pictured here in black, it also available in red, blue, yellow, pink, bronze and pure silver. 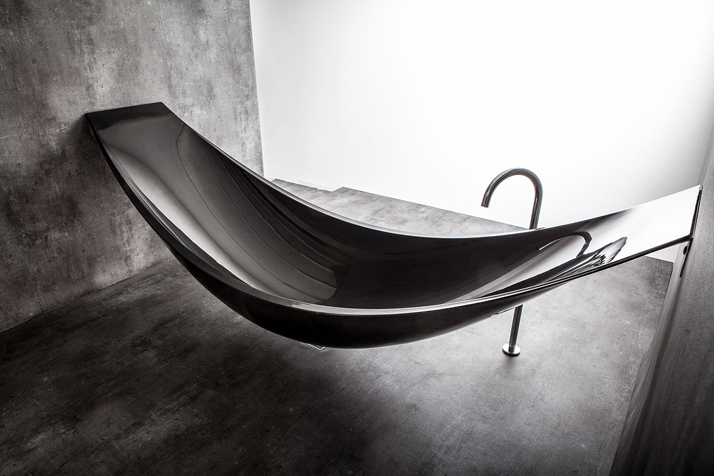 With its clean lines and curvaceous shape, Vessel takes stylish relaxation to a new level!